A 1939 General Motors Parade of Progress Futurliner headlines Motorsport Auction Group’s inaugural sale and is set to cross the block August 6. A 1939 General Motors Parade of Progress Futurliner headlines Motorsport Auction Group’s inaugural sale and is set to cross the block August 6 during Hot August Nights’ 30th anniversary celebration in Reno, Nevada. “If you’re a car collector, this is the Mack Daddy,” MAG spokesman Frank Yaksitch said of the Futurliner. Regarded as the third of the 12 Futurliners built by General Motors, this one was restored to its original condition by Dave Kindig and his team at Kindig-It Design in Salt Lake City and appeared in a two-hour season finale of Bitchin’ Rides in 2014. Shortly after its television debut, No. 3 made its way to SEMA and was featured on Classic Car News. 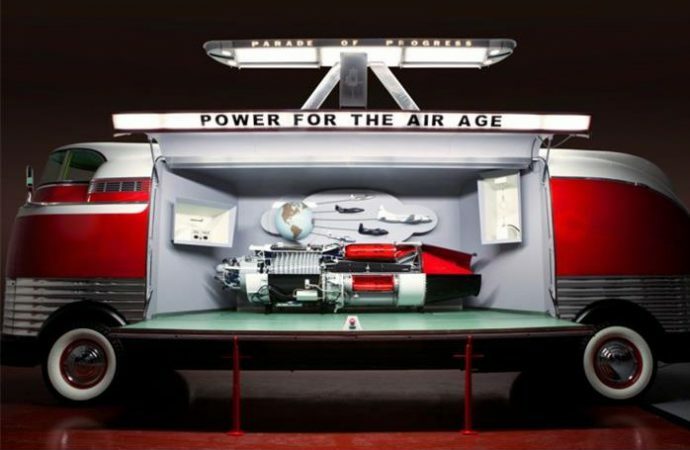 Originally used as a mobile display booth for the General Motors Parade of Progress, a traveling exhibit to promote future technology, this Futurliner featured “Power for the Air Age” as its original display and carried a cutaway version of an Allison J-35 jet engine, which also was recreated by the Kindig-it crew. According to MAG, this Futurliner is powered by a GM 302 inline six-cylinder with a Hydramatic transmission. It weighs more than 12 tons and is 33 feet long and 11 feet tall. 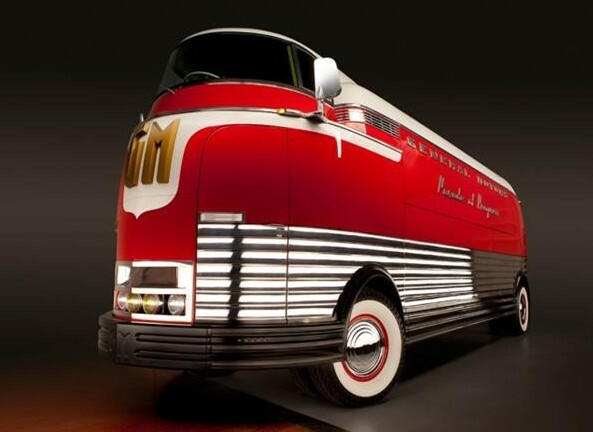 “This auction will be a worldwide attraction,” Yaksitch said, adding that collectors from around the world will have the opportunity to bid on the Futurliner and other cars via Proxibid.com. “If Bill Harrah were alive today, he would be our No. 1 bidder,” Yaksitch suggested of the hotel magnate who’s former collection has become the basis of the National Automobile Museum in Reno. “There’s a chance that somebody here in town, who can afford such an automobile, steps up and keeps it right here,” Yaksitch said.